Ghost in the Shell is the 1995 anime feature film based on the manga title of the same name by Masamune Shirow. 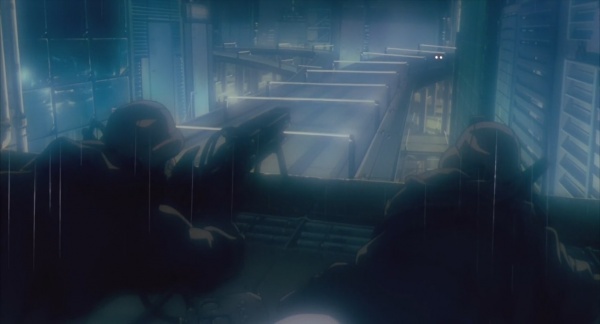 Set in the year 2029, where Earth is interconnected in every aspect of life, the film follows Major Motoko Kusanagi, who is part of Section 9, a security agency tasked with locating a mysterious hacker known as the Puppet Master. The film would spawn a film series as well as a 2017 feature film adaptation that stars Scarlett Johansson. 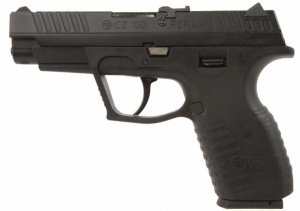 Major Motoko Kusanagi and the other members of Section 9 carry CZ 100 handguns, but again, they are only loosely based on the actual CZ 100, as the sides of the slide are squared off while the real model features bevelings on the slide. She also refers to it as a Zastava, confusing the CZ acronym of the former Yugoslavian gun making firm Crvena Zastava with the CZ of the real gun's manufacturer, Ceska Zbrojovka Uhersky Brod. 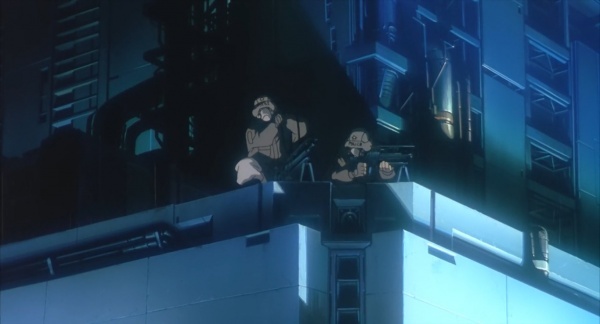 Motoko about to holstering her CZ 100. 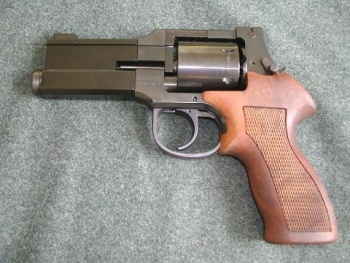 Togusa carries yet another slightly fictionalized version of a real gun, the Mateba M-M2007, a near identical variant of the Mateba 2006M. It should be noted that the film's subtitles and the English dub incorrectly translate "Mateba" as "Matever". Togusa draws his Mateba 2006M. 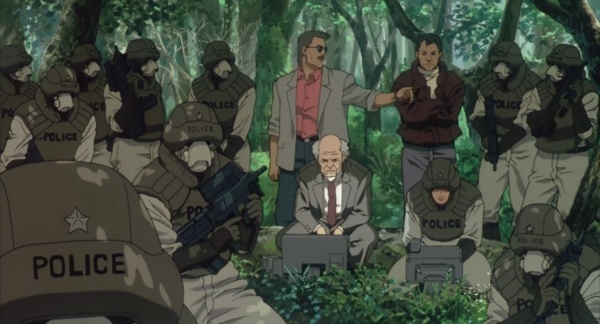 Batou carries a IMI Jericho 941 Semi-Compact, although it is identified as a "Jericho 942" and is supposedly chambered in .50 AE. Yet another fictional depiction of an actual gun. 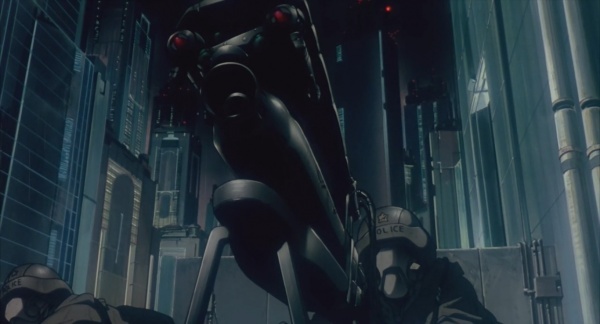 Batou is seen with a similar pistol in the sequel, Ghost in the Shell 2: Innocence. Batou with his the Jericho 941 Semi-Compact. 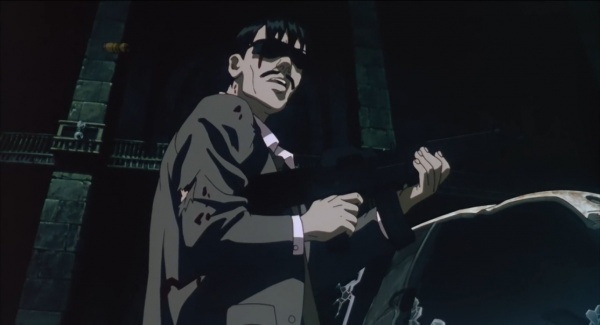 Batou firing the Jericho 941 Semi-Compact at a suspect. 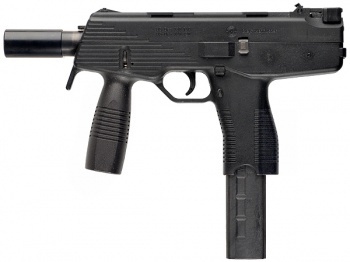 The hacker uses a (yet again fictional) modified Chinese copy of the IMI Micro Uzi with a different stock bracket and MAC-10-style front grip strap, loaded with "hyper-velocity ammunition" to destroy an armored van. The hacker cocking the Micro Uzi's bolt. The hacker checking the Micro Uzi's remaining rounds. "Well, the breech and the barrel are really screwed up. That's what happens when you use HV bullets in one of these things." Batou comments on the condition of the Micro Uzi after firing hyper velocity ammunition, which the damage is unrealistic under done. The HV bullets are likely severely over-pressured ammunition with smaller saboted bullets judging from the ridiculous recoil, which more likely would of caused the gun to rip itself apart or blow up. 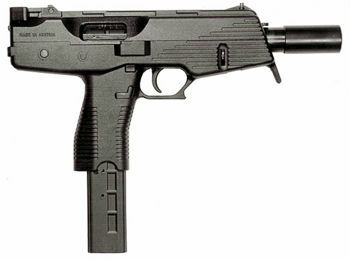 The diplomat's bodyguards that fire at police officers are armed with Steyr SPPs modified for fully automatic fire, attached to briefcase frames that drop clear at the press of a button. A bodyguard's custom briefcase Steyr SPP. 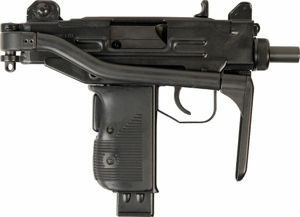 Note the second magazine clamped to the loaded one, which is originally used in the Uzi. The police officers that enter the diplomat's apartment in the film's opening wield Steyr TMPs. 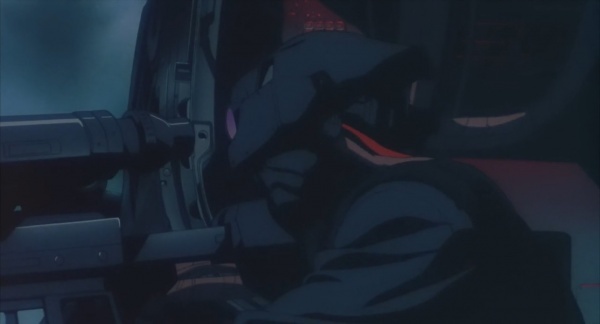 Motoko Kusanagi carries a fictional Crvena Zastava Nosle M22, a fictional submachine gun conceptually based on the FN P90 (and chambered in the same 5.7x28mm SS190 round). 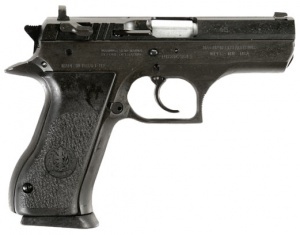 The CZN-M22's lower receiver resembles an AR-15 and uses a bottom loading bullpup system rather than the top loading system of the actual FN P90. The case in which she carries the weapon contains accessories including a sling, a bayonet, a sound suppressor and 40mm grenade launcher which replaces the foregrip. 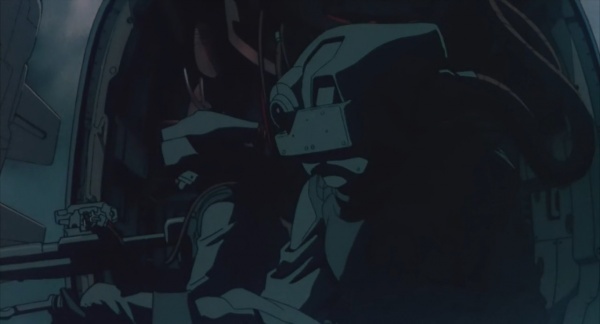 Motoko racks the M22's charging handle prior to an operation. 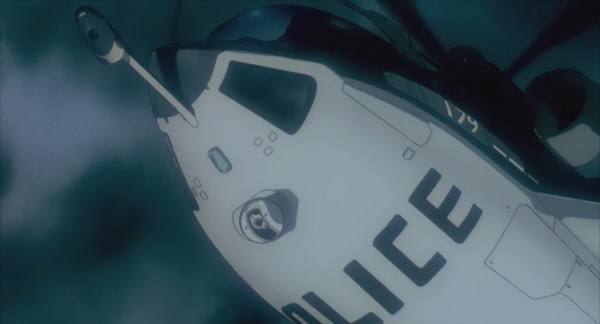 Motoko lands with her M22 in hand. 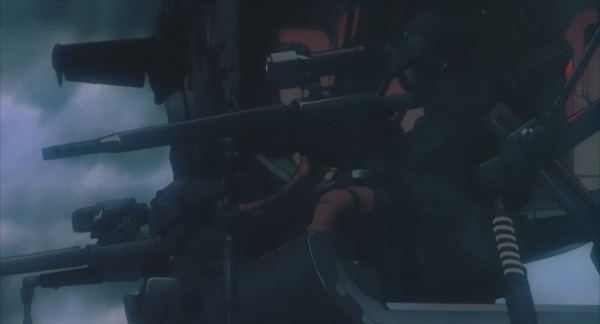 Motoko taking aim at the cloaked hacker with the M22 submachine gun. CZN-M22 opened up. Note that it hinges open like an AR-15 style rifle rather than coming apart like an actual P90. Section 6's Staff use SIG SG 543 assault rifles. The official artbook refers to this as a "SG541 Carbine". Section 6's snipers use rifles that resemble PGM Ultima Ratios. Section 9's snipers use rifles that resemble Mauser SR-93s. A fictional machine gun is seen mounted on the Section 9 helicopter, but it cannot be identified due to being in an enclosed turret. The Section 9 helicopter's machine gun turret. 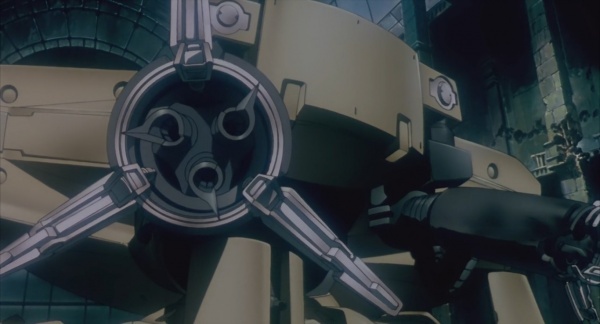 The hexapod tank (referred to in supplemental materials as a "T08A2" or "R3000") is equipped with two arm mounted three-barreled Gatling guns, likely based on the General Dynamics M197 Vulcan. One of the M197 Vulcan-like Gatling guns on the tank.